Kingston was, in Saxon times, a royal tun or manor, the King's Tun. It was owned by the Saxon King Aethelwulf who bequeathed it to his younger son who became known as Alfred the Great. He, in turn, bequeathed it to his youngest son Aethelweard. The road Higher Kingston, being the main east-west route (and until relatively recently the main A-route to London through Yeovil) through the old manor and joining Preston Road with Reckleford, takes its name from the manor. In earlier times it was known as Back Kingston to distinguish it from Lower Kingston, today's Kingston. In Victorian times the relatively short Higher Kingston boasted several pubs and beerhouses. 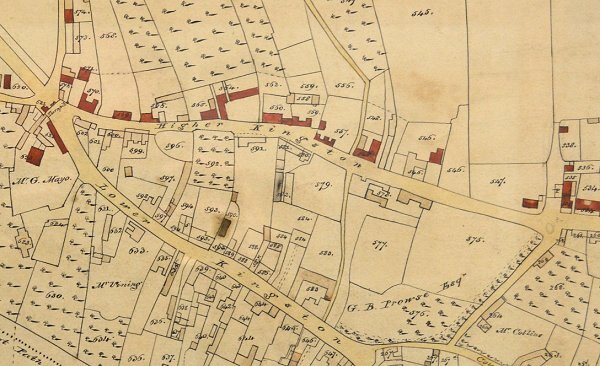 From its relative position in the 1841 census the King's Arms was located in Back Kingston very close, within two or three cottages, to Fiveways crossroads but it is not possible to tell which side of the road. It operated during the 1830s and 1840s. 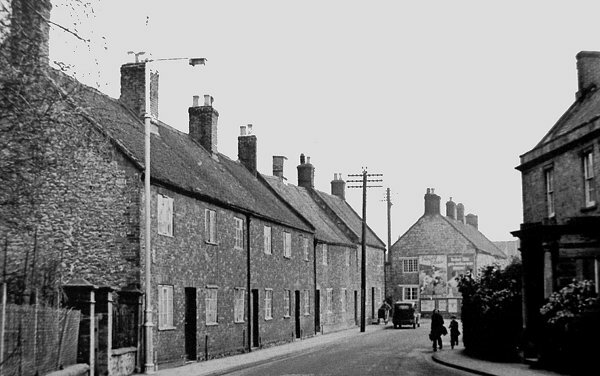 From its location in the 1861 census, the Hop Vine Inn (also known as the Hop Poles) was located in Higher Kingston close, within five or six cottages, to Fiveways crossroads but, again, it is not possible to tell which side of the road. It operated during the 1850s and 1860s. 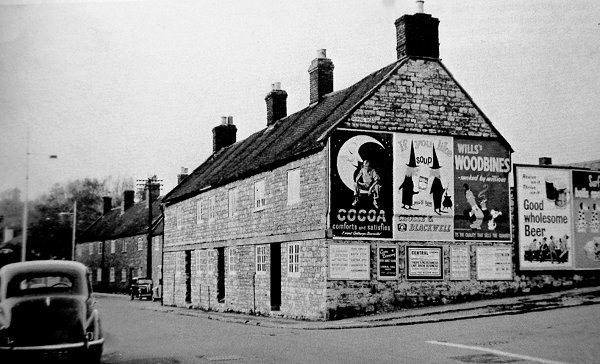 The Lamb Inn was a short-lived establishment and was most likely a simple beerhouse from the 1850s to the 1870s. 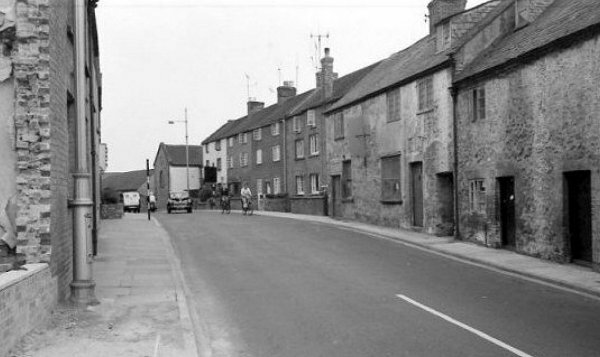 While the actual location of the Lamb Inn is unknown, it was roughly half-way along Higher Kingston but it is not possible to determine which side of the road. At No 10 Higher Kingston was a very rare 20th century beerhouse - over 100 years after the Beerhouse Act 1830 was enacted. 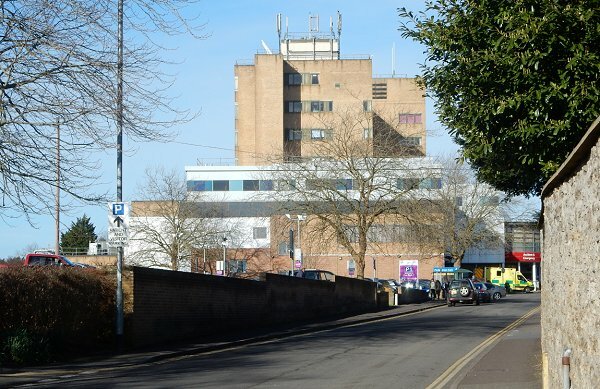 For much of the twentieth century Higher Kingston was dominated by the Yeovil General Hospital although this was dwarfed in comparison with the later twentieth century Yeovil District Hospital. Today it seems that this former main A-route to London is simply the driveway of the hospital. E Watts' map of 1806 showing Higher Kingston running across the map from Five Crossroads at left to the junction with Reckleford and Court Ash Terrace at right. Lower Kingston, today's Kingston, runs from top left to bottom centre. Just right of centre and running between Higher Kingston and Lower Kingston is Red Lion Lane, continuing northwards of Higher Kingston as Roping Path or, as as it was known later, Roping Lane. E Watts' map of 1831 showing the same area. 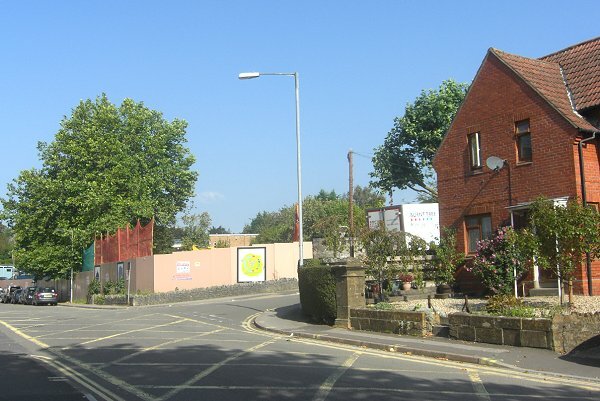 To the right of Red Lion Lane, and fronting Higher Kingston, plot 578 is Kingston Manor House. The 1886 Ordnance Survey (from three sections stitched together) showing that only a few additional buildings had been added since 1831. The 1928 Ordnance Survey. 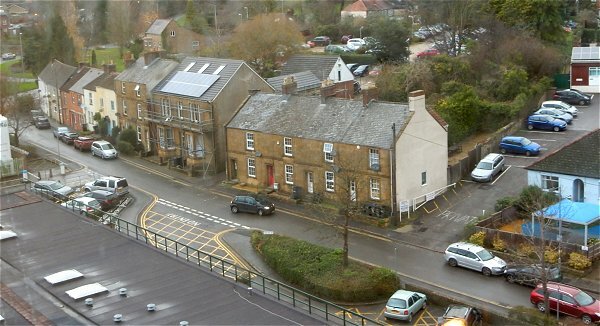 The school at centre, shown black, was Kingston School which was to be enlarged and renamed Yeovil County School in 1905 and in 1925 was renamed yet again to The Yeovil School. 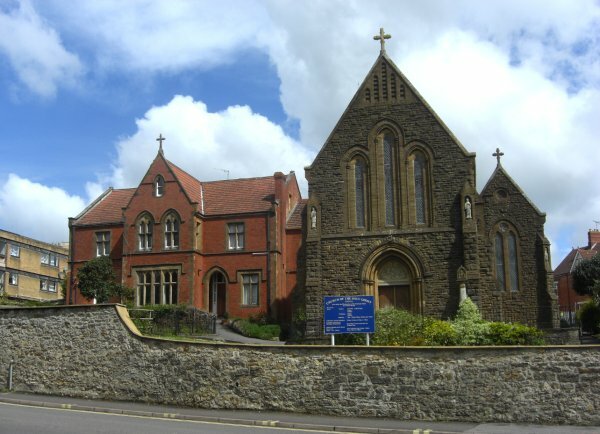 The school moved to new buildings in Mudford Road in 1938. The hospital right of centre, again shown black, was the General Hospital (1922-1972) that incorporated and extended the old Kingston Manor House. Other than the hospital, there were few new buildings since 1886, one notable exception being the Roman Catholic Church of the Holy Ghost at top right. The 2015 Ordnance Survey shows what an effect the late 20th century had on the southern side of Higher Kingston with the building of the new District Hospital. 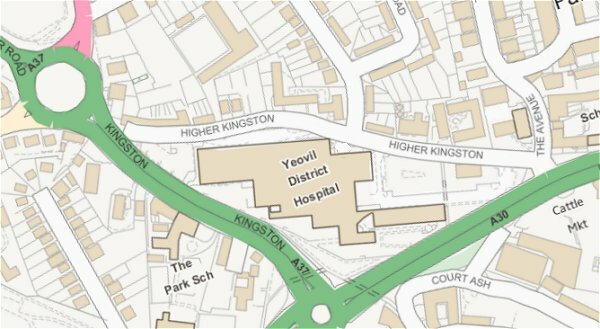 What is not so apparent from this map is that on the northern side, from above the 'N' of the left Higher Kingston notation all the way to the Church of the Holy Ghost, most of the earlier buildings were demolished to make way for hospital staff residential blocks. 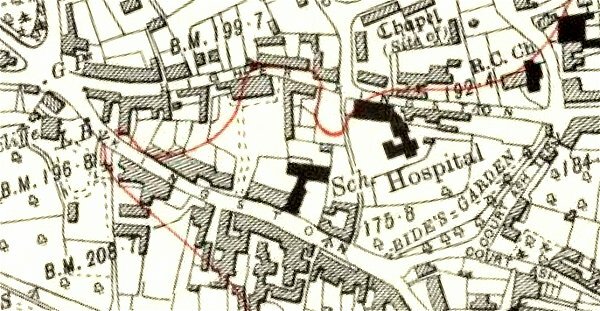 Two of which, at the centre of the map, have recently been demolished in order to create extra parking for the hospital. The following photographs run west to east along Higher Kingston, from Fiveways to Reckleford, although not necessarily in chronological order. 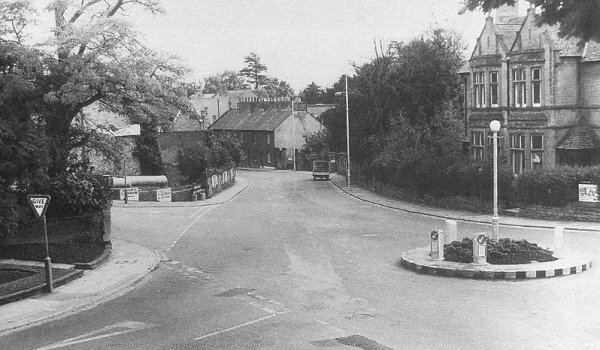 Looking along Kingston from the (mini) Fiveways Roundabout in 1967. The entrance to Higher Kingston is at centre left. 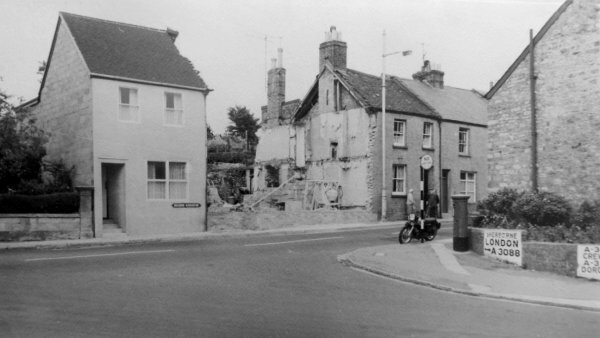 Kingston Villas, at centre, are the only survivors from this photograph. 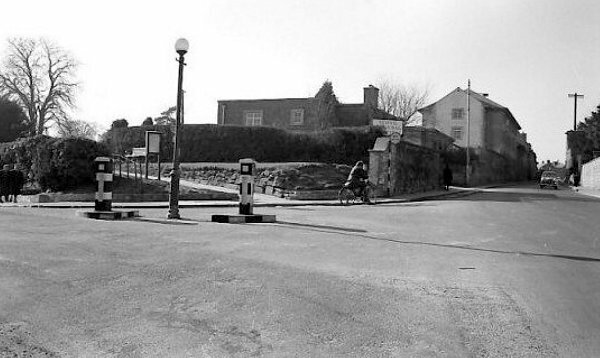 Fiveways Roundabout photographed in the mid-1960s during the development of the roundabout. The entrance to Higher Kingston is seen at extreme right. 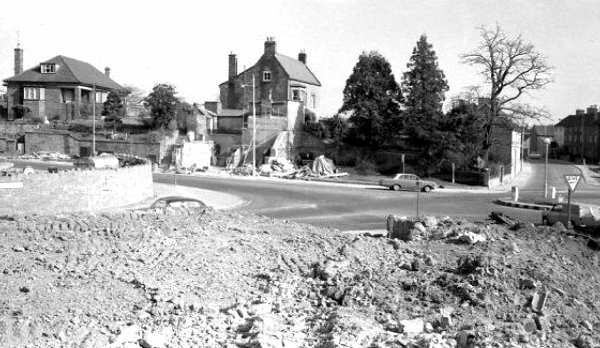 Photographed in the mid-1960s, this looks east along Higher Kingston from Fiveways Roundabout. 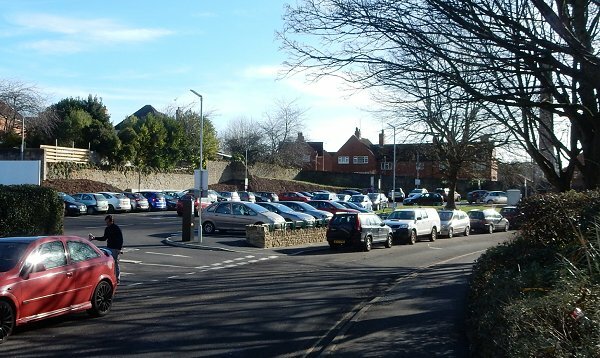 All the buildings on the south side of the road were demolished and have been replaced by a small car park and hospital buildings (see next photograph). Notice that at this time Higher Kingston was the main A-route through Yeovil to London. The western end of Higher Kingston as it joined Fiveways. Photographed in the 1960s. The end gable of the cottage at extreme right in this photo is seen at extreme right in the previous photo. Photographed in the 1960s. 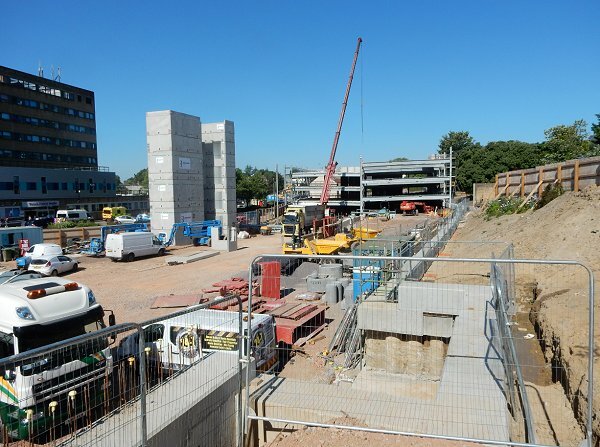 This photograph looks west along Higher Kingston towards Fiveways. 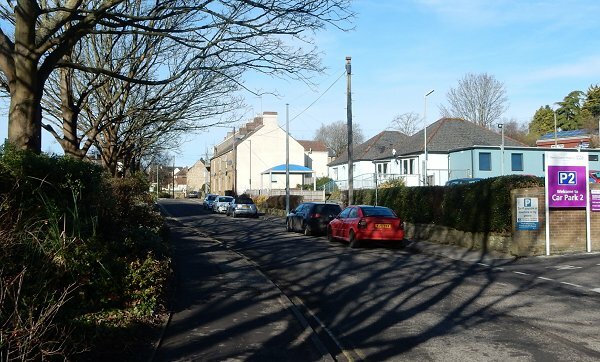 The buildings of the previous photograph would have stood along the road and would have occupied the left hand side of this 2015 photograph. A view from the 8th floor of the hospital looking towards the Fiveways Roundabout - seen as green in the top left quadrant. 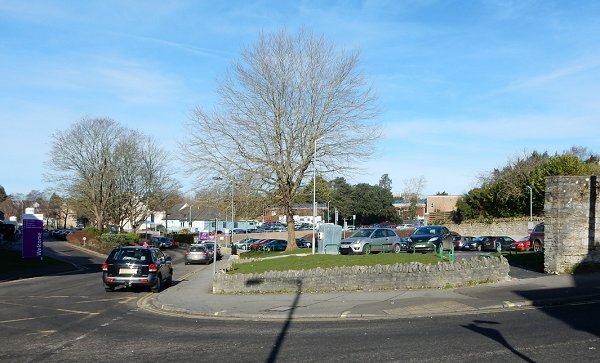 Bottom left is a small car park and the flat roof of one of the single-storey hospital buildings. Running from centre to lower right are a few of the remaining pre-twentieth century buildings to survive in Higher Kingston. The scaffolded building is Richmond Villa, built between 1858 and 1886 and the home of Charles Williams (of Neal & Williams) in 1911. Photographed in 2014. 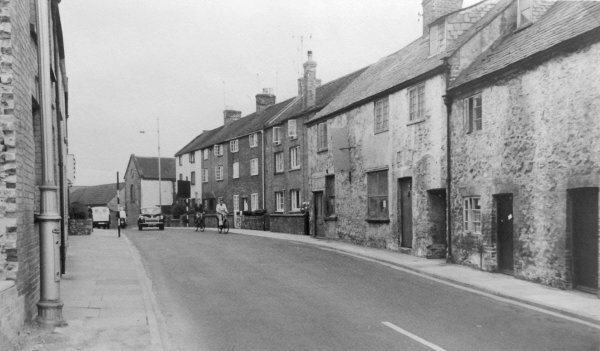 The first few houses (seen in the photograph above) on the north side of Higher Kingston. At right, in the background, is the District Hospital. Photographed in 2014. 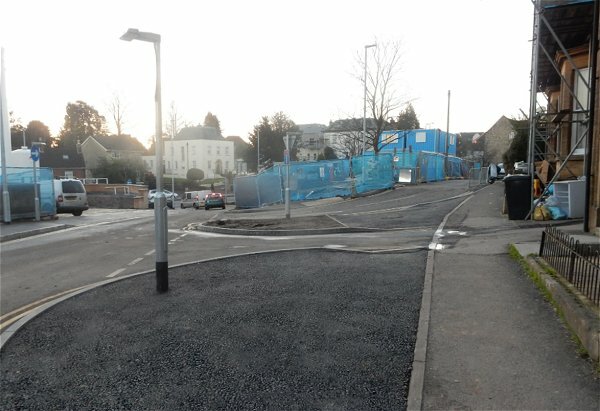 The western end of Higher Kingston has now been re-routed. The original roar is at right, the new road at left now takes traffic down to connect with Kingston. Photographed in January 2017. 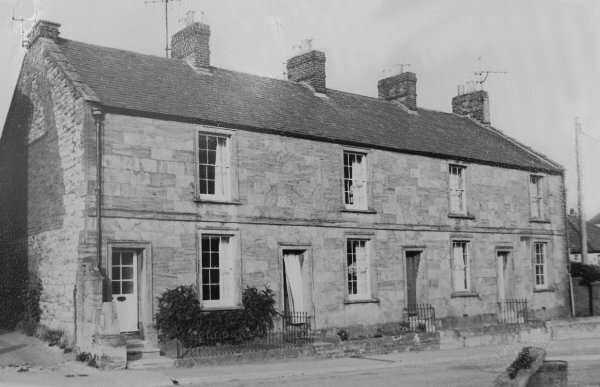 Moving slightly further east and photographed in the 1960s, this block of four houses were built between 1846 and 1858. The houses are not shown on either of E Watts maps of 1806 and 1831 (see maps above). 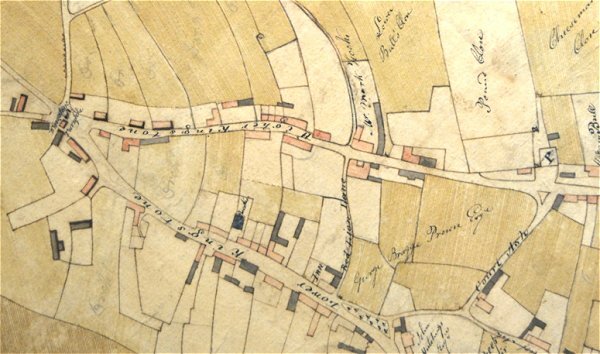 The 1842 Tithe Map doesn't show houses, just the land, but the 1846 Tithe Apportionment notes that Plot 566 (as seen on the 1831 map) were 'Cottages and Gardens' owned by William Jones Prowse (the Prowse family were Lords of the Manor of Kingston for several generations) and occupied by Thomas Holt who presumably sub-let them. These cottages and gardens were not, however, the block of four seen here, but another block to the west but in the same plot. The 1858 map by Hickes and Isaac show this block of four cottages for the first time together with the other block to their west. Finally, the 1886 Ordnance Survey shows the block of four cottages to the west replaced by Richmond Villa. 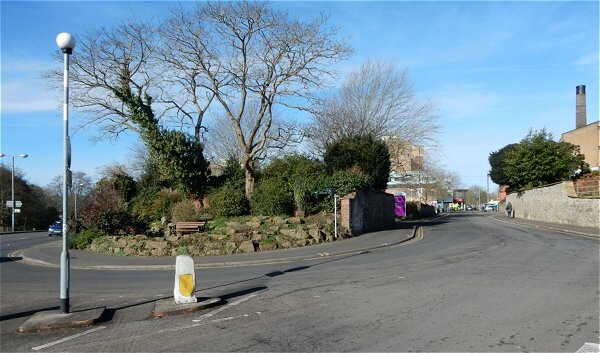 At right is the entrance to the Yeovil Bowls & Squash Club. Photographed in 2014. Richmond Villa photographed in the 1960s before it acquired its (apparently semi-permanent) skin of scaffolding. It was the home of Charles Williams (of Neal & Williams) in 1911. Moving further east are the next few houses. 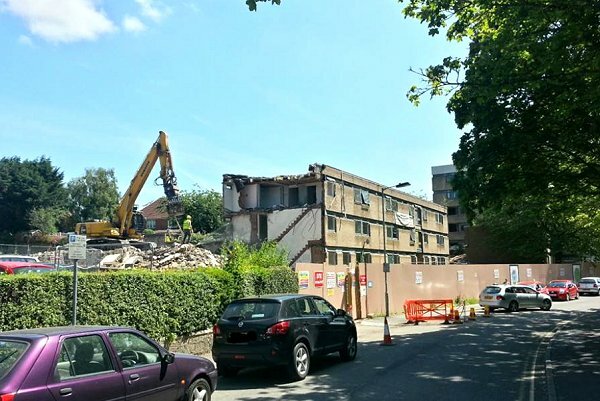 In the background at far right is the nurses' accommodation block about to be demolished. Photographed in 2014. 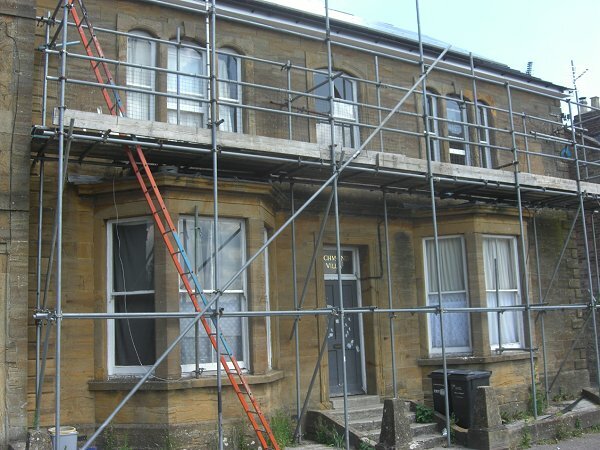 Richmond Villa, built between 1858 and 1886 (and scaffolded for about the last ten years). Photographed in 2014. 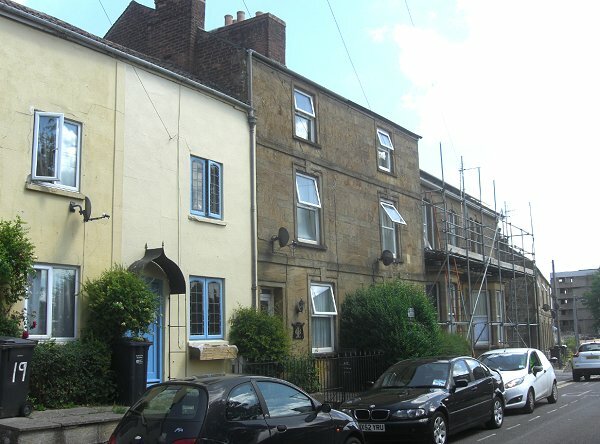 This block of four houses were built between 1846 and 1858 - see notes above. Photographed in 2014. Looking west, back along Higher Kingston towards the Victorian buildings of the previous photographs. The trees and planting at left make the image feel far more rural than it actually is. Photographed in 2015. Returning to the south side, but moving further east along Higher Kingston the buildings at right are those seen in the previous monochrome photograph while the building at left is clearly being demolished. The last building in the terrace, just before the building jutting out, was the Shirley Hotel. Photographed in the mid-1960s. At right is the building that was jutting out in the previous photograph. 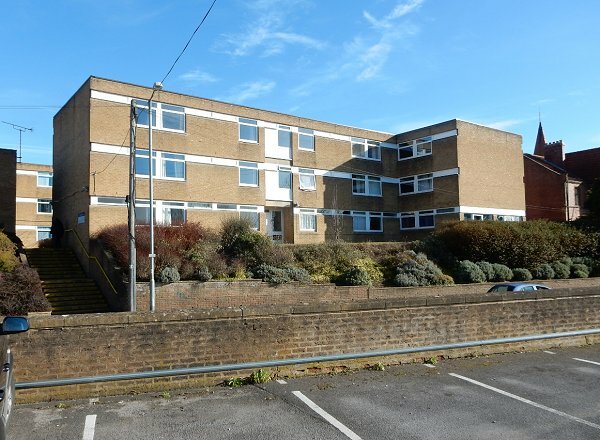 One of the Council's walking guides states this building was once Yeovil's prison. Of course it never was - it's certainly not marked as such on any of the old maps from Watts' map of 1806 onwards. 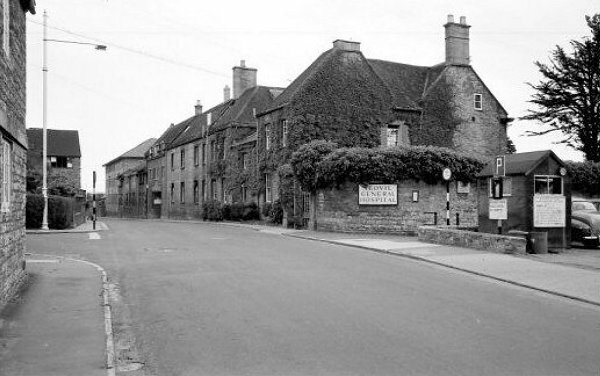 Not only that, the town lock-up was the Blind House in the Tolle Hall in the Borough (the cells of which are still under the Borough) certainly between 1630 and 1849 when the Town House became the new town police station and lock-up. Also, the 1842 Tithe Apportionment and the 1846 Tithe Map clearly show that Higher Kingston was all houses, gardens and orchards. In fact the building was the rear of Far End House (see next photo). Photographed in the mid-1960s. The home of Yeovil solicitor Thomas Moore, 'Far End House', Higher Kingston, seen from Kingston. Its location is best seen on the 1928 Ordnance Survey above; in order to create a grand first impression of the house its driveway and extensive gardens were reached from Kingston (immediately above the 'S' in 'Kingston' on the map). The much less-impressive rear elevation of the house, as seen in the previous photograph, backed immediately onto Higher Kingston. 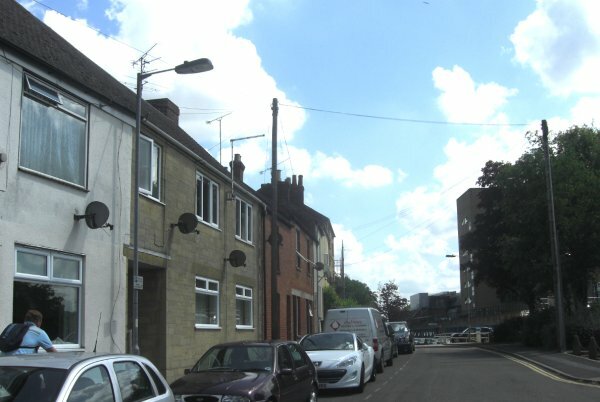 Looking east, this run of houses are most clearly seen on the 1886 Ordnance Survey map above - they were on the north side of Higher Kingston and were replaced by the long blocks of nurses' accommodation shown being demolished in the photo after next. Photographed in the mid-1960s. 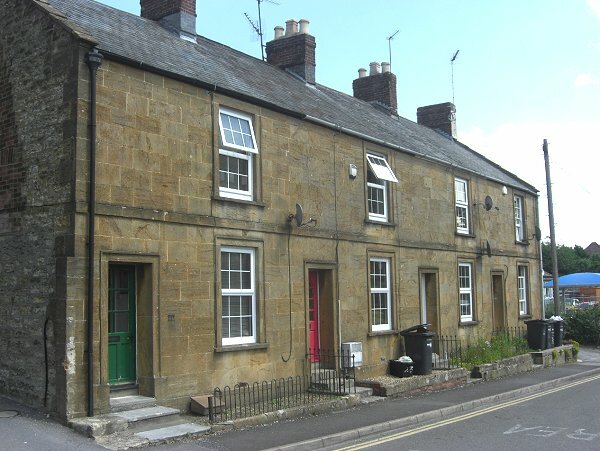 In the 1840s George Rendell owned the three houses at centre (with the telegraph pole and the car outside). 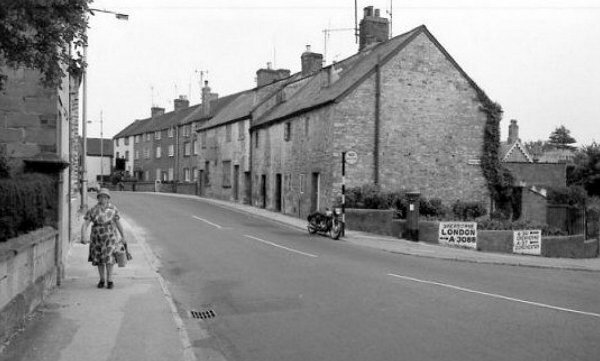 Looking west, and again photographed in the mid-1960s, this block of houses (seen centre right in the previous photograph) jutted out into Higher Kingston as seen on the maps above. Higher Kingston runs to the left while at right is Roping Lane, today's Roping Road. 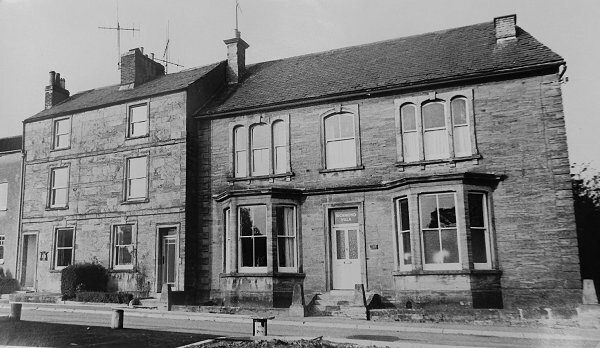 The tall block of nurses' flats was later built on this corner. 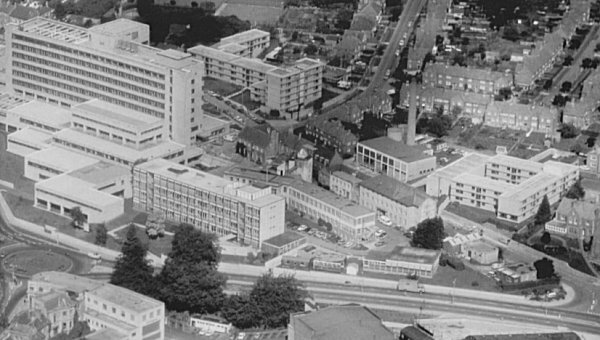 In an aerial photograph of about 1972 shows the old Yeovil General Hospital building at centre, partially hidden by the new maternity unit and dwarfed by the new Yeovil District Hospital complex. 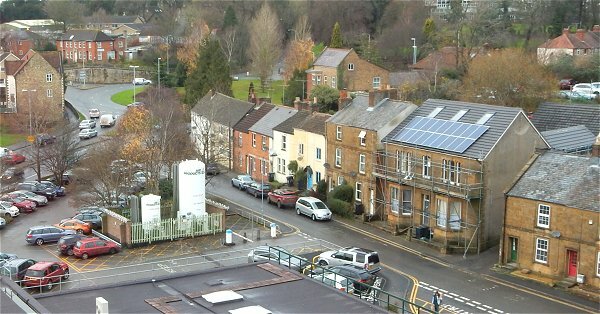 At top centre are the blocks of nurses' accommodation which feature in the next few photographs, while Higher Kingston runs down diagonally across the photograph to join Reckleford at the bottom right corner. The two buildings dominating centre right are the hospital boiler house (with the chimney) and Convamore, hospital accommodation and offices. 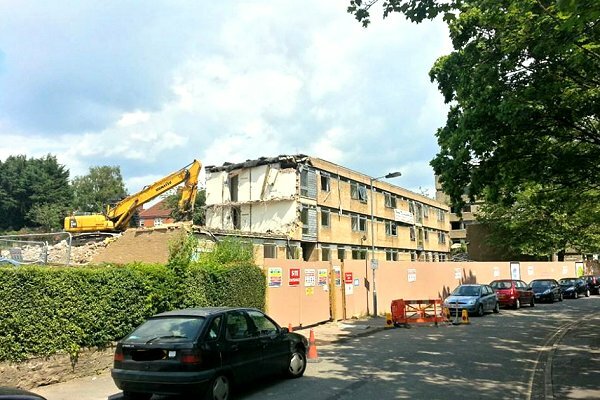 Demolition begins on the nurses' accommodation block facing Higher Kingston during the summer of 2014. The main District Hospital building is opposite. .... and then it was gone. Photographed July 2014. The same scene photographed in March 2015. 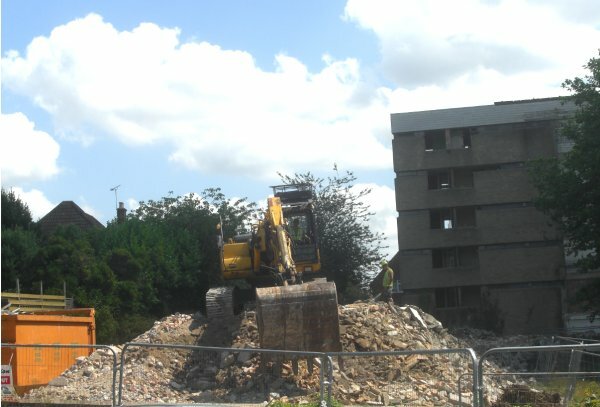 The block of flats on the corner of Roping Road awaits its turn for demolition. Photographed July 2014. 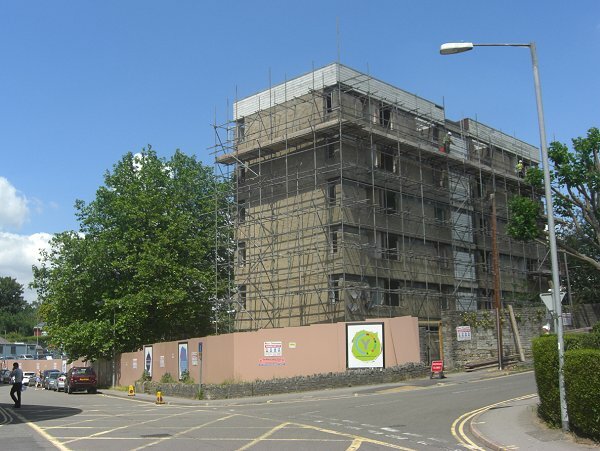 Nurses accommodation block on the corner of Higher Kingston (left) and Roping Road (right), ready for demolition. Photographed July 2014. .... and there it was, gone. Photographed in September 2014. .... and the hospital seen from the same location as the previous photograph. Seen in 2015. 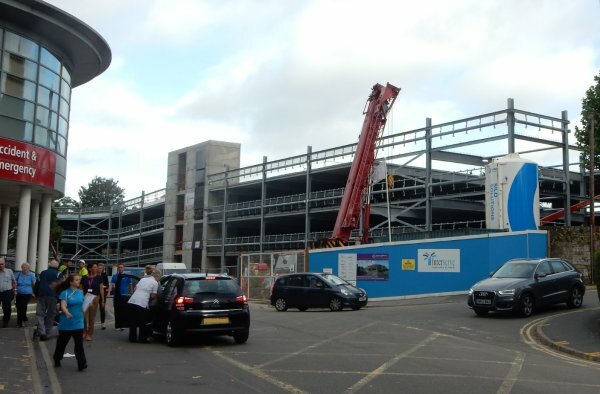 The new (December 2014) car park that replaced the nurses accommodation blocks. I wonder how many people realised it would all be dug up by May 2016? 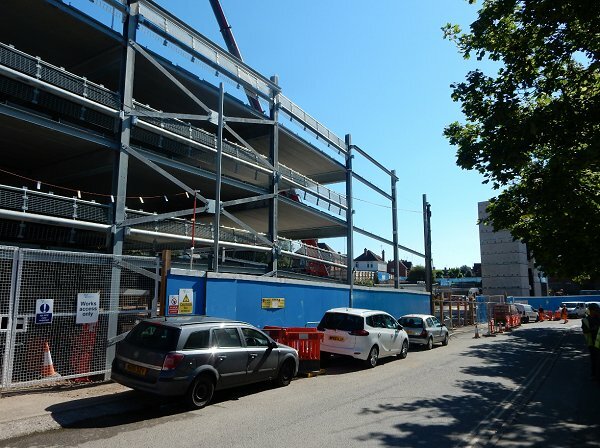 The new car park, looking west from Roping Road. Photographed in 2015. 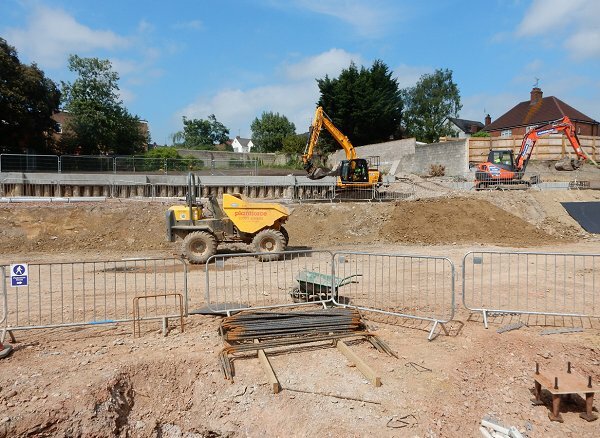 .... and then, of course, within months the whole lot was dug up again. One does wonder how much money could have been saved with a little more forethought. Photographed in 2016. 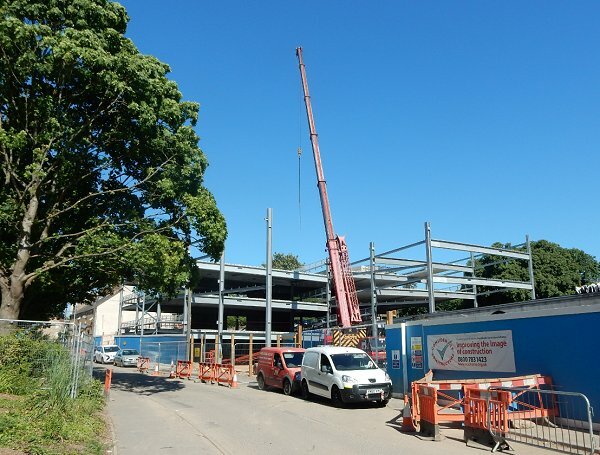 Steel erection on the new multi-storey car park begins. The concrete lift shafts / stair wells stand alone left of centre. Photographed July 2016 from Roping Road. The car park seen from Higher Kingston in July 2016. .... and looking east towards the concrete lift / stair units. Again in July 2016. 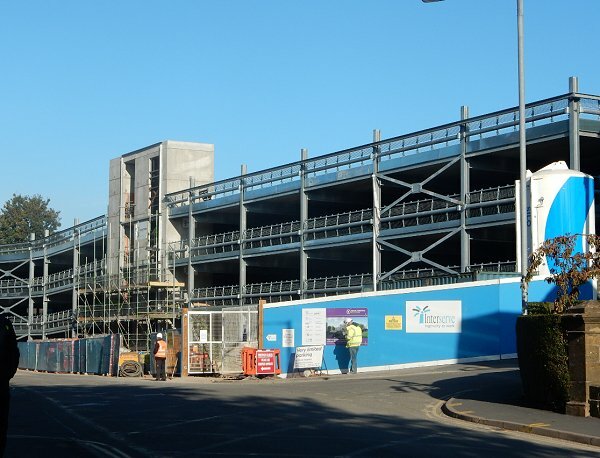 The new car park photographed in August 2016. 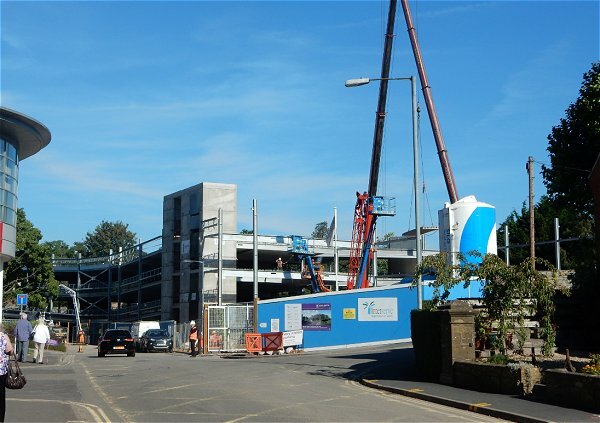 The hospital is at extreme left, the corner of Roping Road is in front of the blue hoardings. .... and from the same position in September 2016. .... and in October 2016. 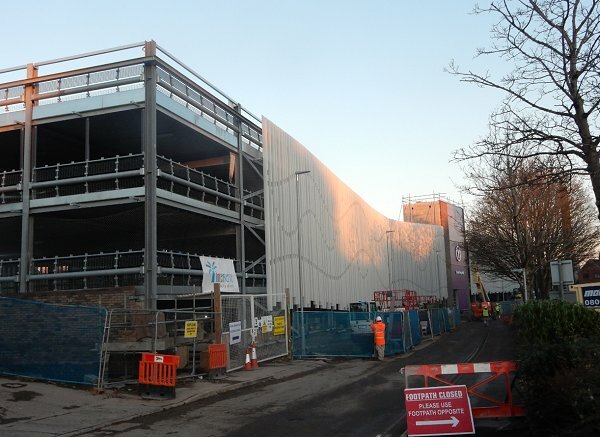 External cladding under way in January 2017. The cladding is more open when viewed front-on. 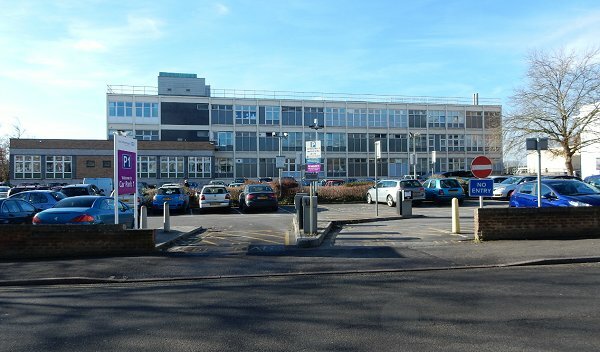 This main block is almost opposite the main hospital entrance. Photographed in January 2017. 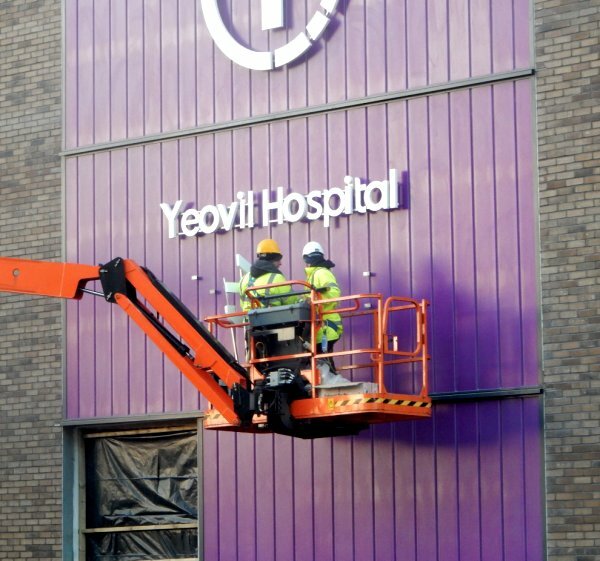 Adding finishing touches to the signage. Photographed in January 2017. 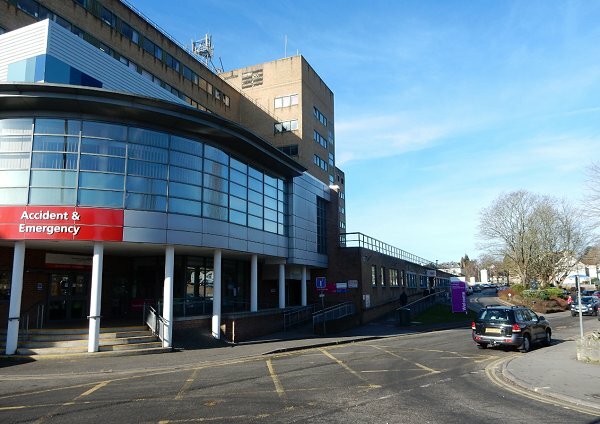 The entrance to A&E and the driveway to the main hospital entrance. Higher Kingston runs off to the right at bottom right. Photographed in 2015. 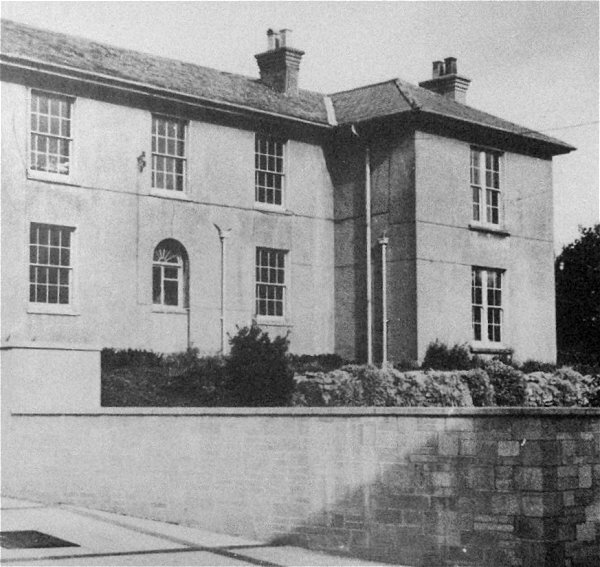 Kingston Manor House, at this time incorporated into Yeovil General Hospital. Where the sign on the wall was the exit of Red Lion Lane onto Higher Kingston. The road running off left is Roping Road, earlier Roping Path then Roping Lane. Photographed circa 1965. 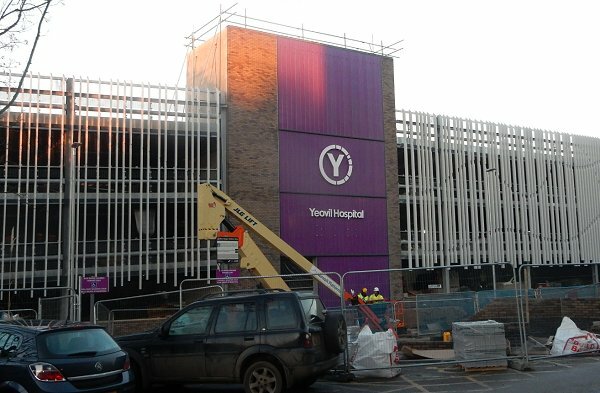 The main entrance to Yeovil District Hospital, photographed in 2015. All the buildings in the previous photograph were roughly in this location. The northern end of Red Lion Lane where it met Higher Kingston. Photographed circa 1965. 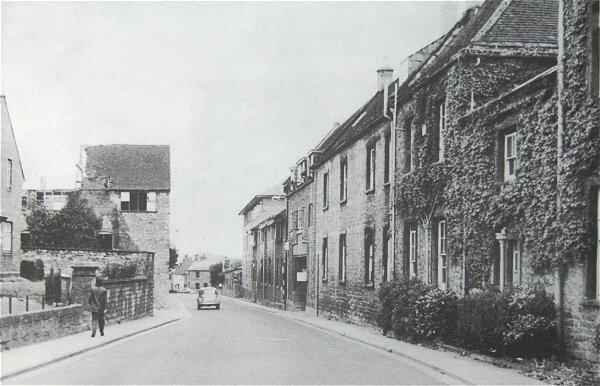 Looking east along Higher Kingston around 1965, Yeovil General Hospital is on the right with the old Kingston Manor House incorporated into it at extreme right. 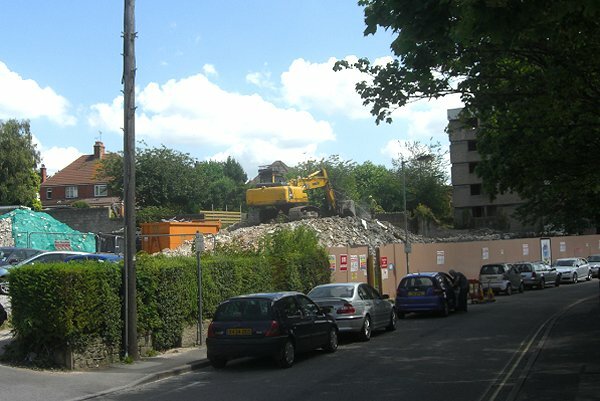 At left the old glove factory, seen in the next photograph below, is being demolished. Between the glove factory and the wall the man is walking past was the site of the former Kingston Pitney Chapel. This photograph of about 1965 shows Henry Bryant Phelps' glove factory in Back Kingston (today's Higher Kingston). 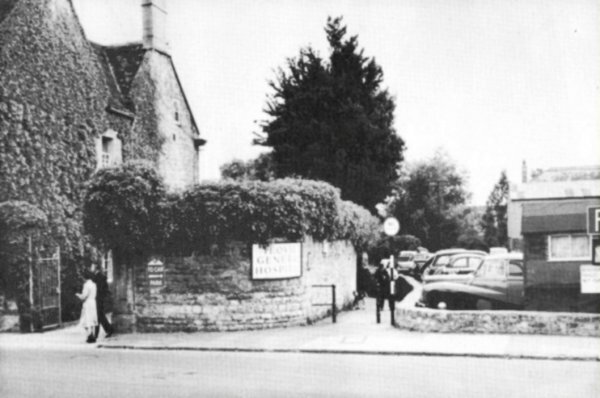 It stood on the north side of the road opposite Kingston Manor House. 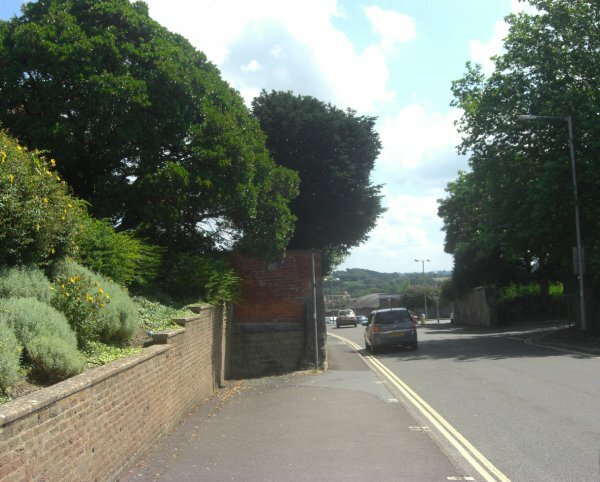 The hedge and wall seen at right was the garden wall of Henry's house, Convamore, which was set back from the road. Phelps and his family continued to live in the house but the glove manufactory was taken over by his brother's company, Robert Phelps & Co, in the 1860s. By 1903 it had been taken over by Hawkins, Jesty & Ricketts. 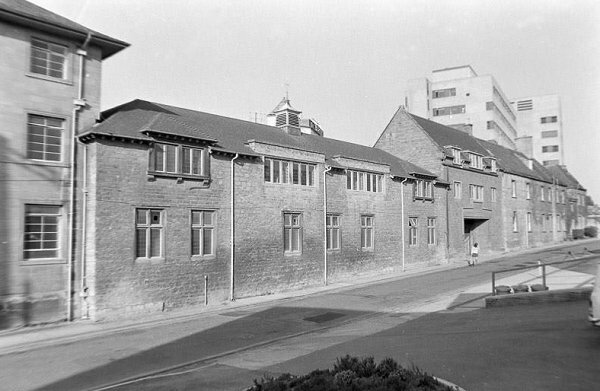 The glove factory was demolished in the 1960s as part of the District Hospital redevelopment scheme. 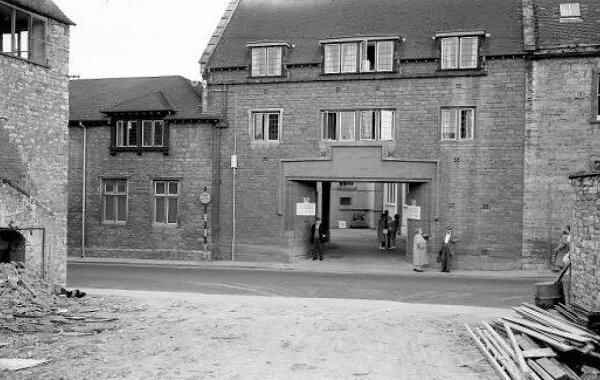 The entrance to the Yeovil General Hospital - the photographer would have been standing on the site of the former Kingston Pitney Chapel. 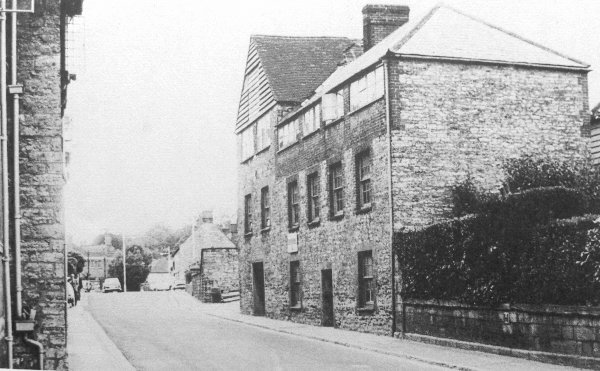 At left is the former glove factory (above) which still stands at left of this 1960's photograph. 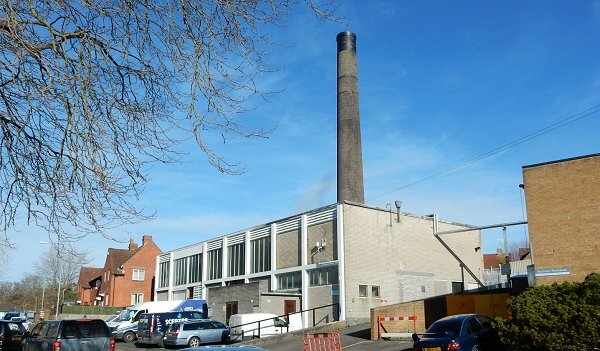 The factory site later became the site of the hospital boiler house. .... and here, indeed, is said boilerhouse. Built on the site of the old Hawkins, Jesty & Ricketts glove factory. Photographed in 2015. 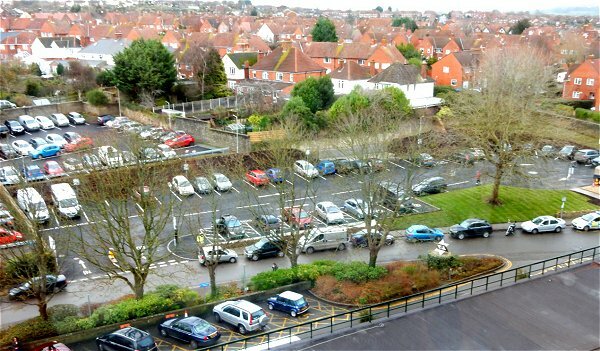 .... the buildings in the previous photograph were demolished and today is one of the hospital car parks. Photographed in 2015. Convamore, the house in Back Kingston that Henry Phelps had built. 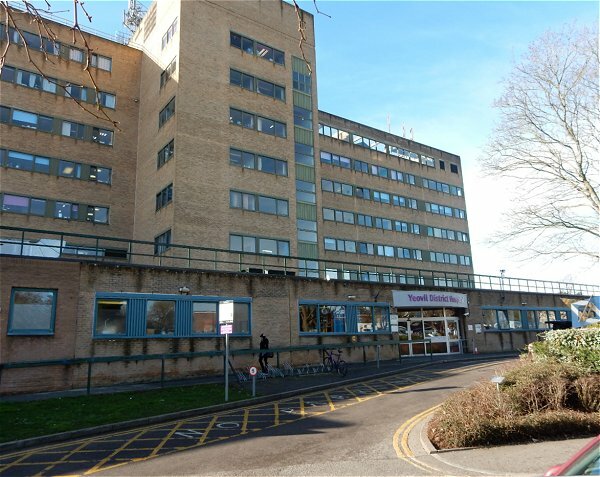 It was demolished in 1969 and temporary accommodation and offices for hospital staff was built on the site. The new building remains today, itself named Convamore. 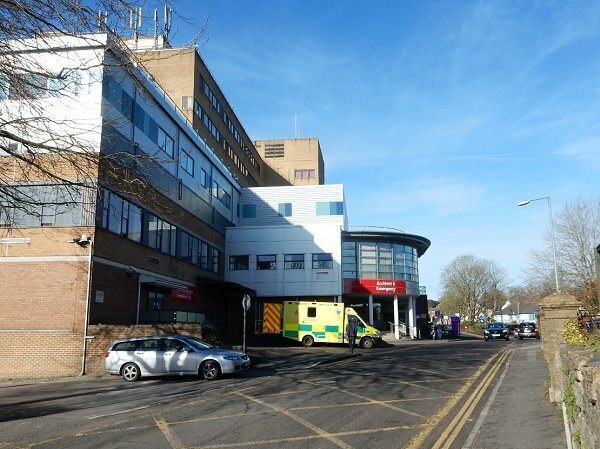 The modern Convamore, temporary accommodation and offices for hospital staff. Photographed in 2015. Approaching the eastern end of Higher Kingston as it joins Reckleford by The Avenue. 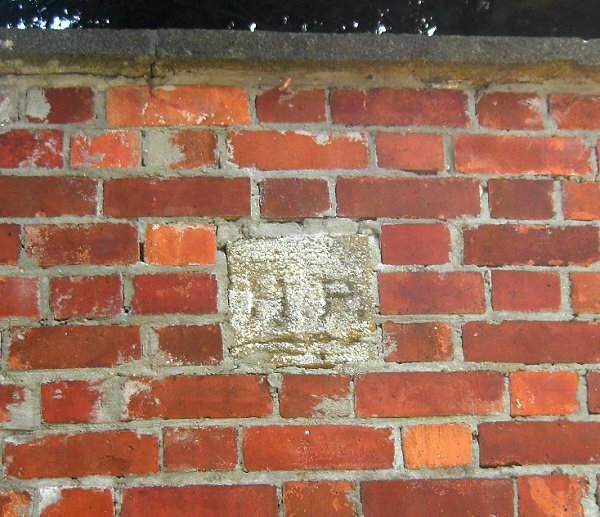 The wall jutting out across the footpath has an unusual stone set into it, shown below. Photographed in 2014. So, who was 'HP'? Possibly one of the Prowse family who were Lords of the Manor of Kingston for generations - but if so, I don't know which one, can anybody help? Higher Kingston looking west and photographed from outside the Church of the Holy Ghost in 2015. 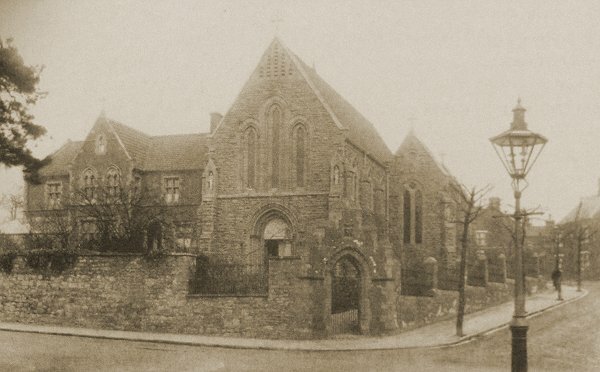 The last building on the northern side of Higher Kingston, the Church of the Holy Ghost, photographed around 1900. The Church of the Holy Ghost with the Presbytery alongside. Photographed in 2014. 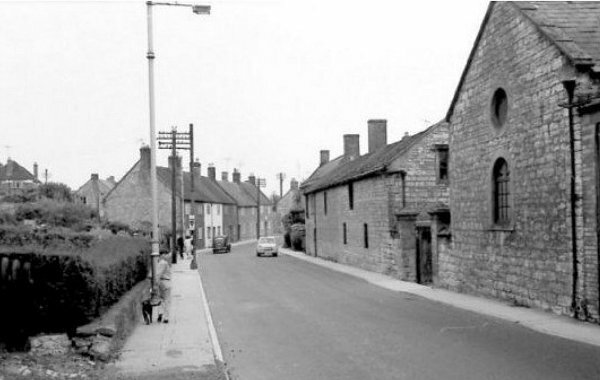 The end of Higher Kingston, seen from Reckleford in the mid-1960s. At centre left is the northern entrance to Bide's Gardens. The same scene photographed in 2015. 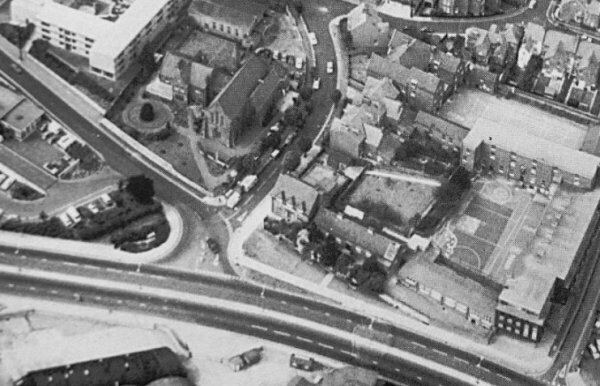 An aerial photograph dating to 1975 shows the Black Horse at the centre with the three dormers. 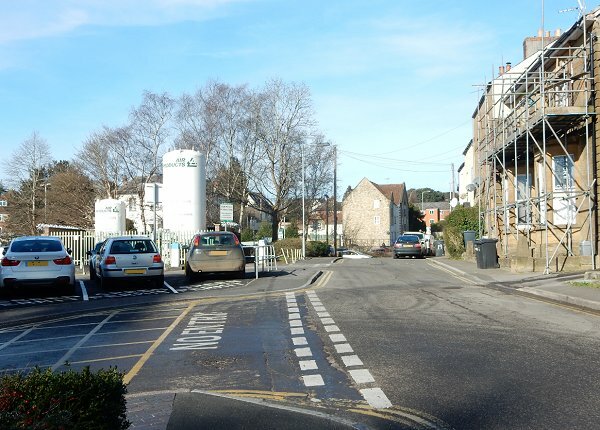 Reckleford, newly made into a dual carriageway, snakes across the lower half of the photograph while Higher Kingston comes down from the top left, past the Catholic Church of the Holy Ghost. The Avenue runs to top centre. At this point Higher Kingston ended and Reckleford Hill started, its original course marked by the line of remaining buildings starting with the Black Horse.